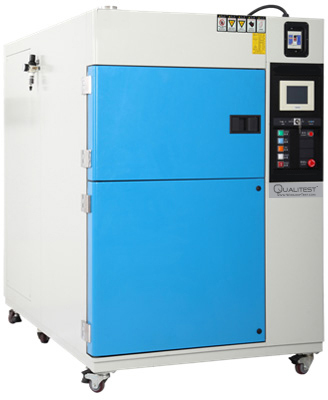 Qualitest’s Thermal Shock Chamber be used for testing most commercial products to see how they withstand drastic temperature changes. 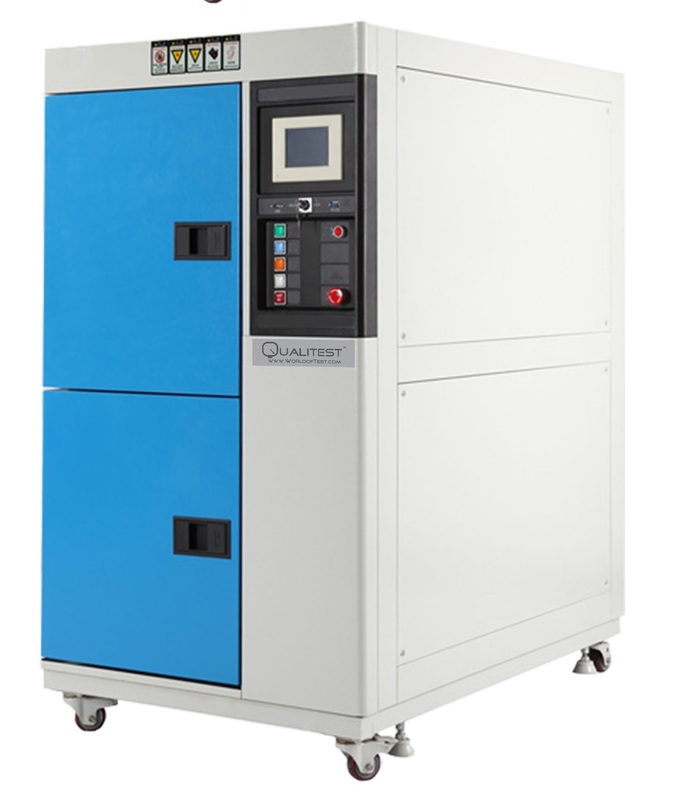 Simply to say, a thermal shock chamber will subject a product to the most extreme temperature conditions, instantly. The purpose of testing a product under these circumstances by the thermal shock chamber is to observe changes in the products characteristics and check for failure occurrence of different materials and thermal expansion coefficients. These thermal shock chambers are prohibited to flammable explosive easily to volatile substances sample test or storage, corrosive substance sample testing or storage, biological sample test or storage, strong electromagnetic emission source sample test. Quality inspection for all types of electronic products, electric appliance, and products from communication, instrument, automobile, plastic, metal, food, chemical, building materials, medical and aerospace industries. 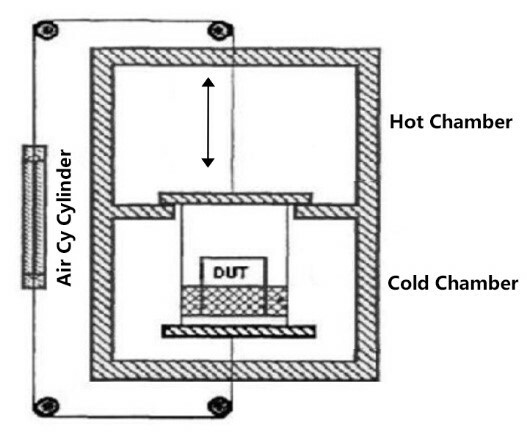 Thermal shock chamber divided into three zones: High temperature zone, low temperature zone, and testing zone. The test sample is in static mode. Using touch-control graph control as operation interface, easy to operate. Use wind route conversation to shock way to distribute temperature to test zone for cold shock measurement. For high or low temperature shock, max. Time is up to 999H, and max. 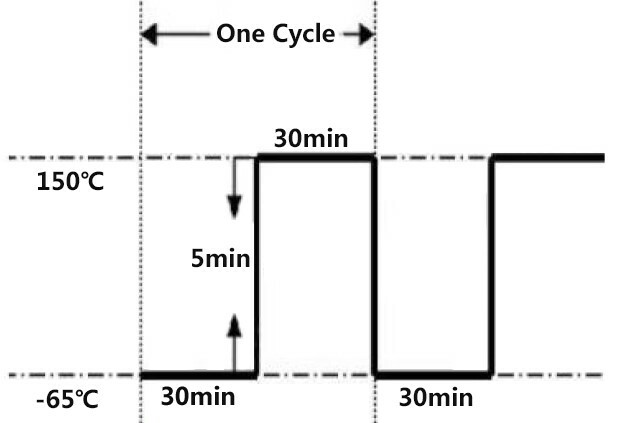 Circulation cycles are 9999 times. The system can be used for automatic Circulation Shock or manual selective shock. Can entering normal temperature. RS-232 and RS-485 communication. The thermal shock chamber adopt binary cooling system, with quick cooling effect. Cooling method is water cooling.